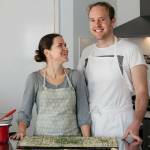 Hello and welcome to Boxed Indulgence ! We are a Gourmet Hamper business located in Busselton, which is the gateway to the fantastic Margaret River Region. After living here for a number of years, I love nothing more than sharing the fabulous gourmet food we have here in this area. We are really spoilt for choice in regards to food and not to mention the wine! With over a 100 wineries in the area, research can be exhausting! , but rest assured we have nothing but the best of produce available for you, our valued customers. All of our hampers are packed into black magnetic gift boxes, or if you prefer they can be wrapped in cellophane. They are then finished off with our classic ribbon and gift cards. So please take the time to look through the online shop and hopefully you will see something you like. And if you don’t, then please get in touch and we are only more than happy to customise for you. With the Margaret River region showcasing some of the world’s best wine, cheese and gourmet produce, Nicci and Bryce were surprised when they were not able to find a local cracker biscuit to accompany their platter. One Saturday at the Farmer’s Market they collected some fresh produce from the local vendors and set about creating a gourmet cracker that would truly represent Margaret River. River Cheddar, Manjimup Truffles and even rosemary from the home garden. They currently have 8 flavours and have developed a Gluten Free, so that no one has to go without! little girl Sophie and lots of tasty samples for you to try!! I am a fourth generation South African, now proud to be Australian. My fondest memories are of the numerous occasions, my sister and I watched and helped our Grandmothers in their kitchens, preparing a variety of ‘real food’, that often required patience and considerable preparation. Those precious times together were filled with fun and laughter and so in this way the joys, as well as the basic training and techniques of cooking were learnt. Located just 15 minutes from Busselton in the South West of Western Australia, Jersey Farm produces outstanding Extra Virgin Olive Oil, using traditional organic farming methods. Only organic fertilizers are used, ensuring pure, fresh and premium Olive Oil. With an abundance of fruit, vegetables and herbs, Jersey Farm also produces delicious jams, pickles, chutneys and cured olives. From our 20 acres of natural bush and the olive and fruit tree blossom, a small Apiary also supplies delicious bush honey, which the bees work endlessly for us to enjoy. On Jersey Farm, all of nature is encouraged and protected. We live in harmony with the land as much as possible and rejoice in the gifts it provides and the special sanctuary we can call our home. We have two Jersey steers, Clive and Floyde, who are about 8 years old. They live, eat and roam and are completely loved. Steve and Sue use premium quality, locally grown fruit to make a delicious range of sun-dried fruit snacks. Based just south of Donnybrook, their family business has been satisfying our tastebuds with healthy sweet treats for over 22 years, and let’s hope they continue to do so for many more. 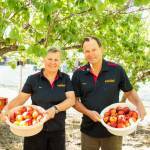 Their product range made from locally grown Nectarines, Plums, Apricots and Peaches includes fruit bars, giant fruit rolls and fruit pieces coated with either chocolate, coconut or sugar. They also make some traditional jams and fresh fruit sauces. They attend several Markets in the South West area, so keep an eye out for them. 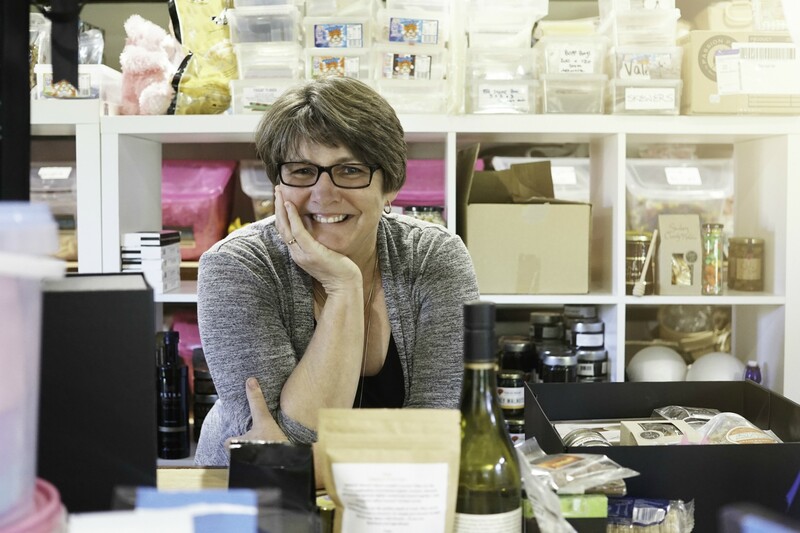 The Whitfield group of businesses began as a winery and cellar door in 2006. In 2008 a cafe was opened at the farm/vineyard offering seasonal local products. Seeing an opportunity in the market in 2010 Kelly Howard (co-owner) began creating a range of chocolate unique in design and flavour reflecting the Denmark, Western Australia region. With the success of this product, the range was extended and the Pawprint brand was launched into the wholesale market early 2011. The name was derived from our beloved Bernese Mountain Dogs, Mac and Bud who were icons of the cellar door. The name represents their personalities, unique and delightful. 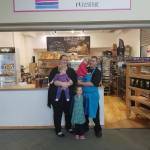 Steve and Stephanie Reynolds are long time Busselton residents, and opened the Sugar Chef Patisserie in May 2017. Pastry chef Steve loves nothing more than to be creating gorgeous cakes. Whether it is for a wedding, birthday or anything really, then visit their shop here in Busselton. 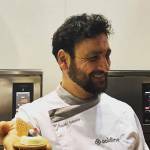 Claudio’s intention is to produce every biscuit Italy has to offer with the same care and love that our mothers and grandmothers used to make them. Our biscuits are made from the freshest ingredients and don’t contain any types of additives and artificial colourings. We want people to experience the real taste of Italys own biscuits. 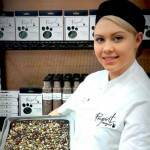 Fine Food of Margaret River is gourmet food produced by Romano Rotelli. 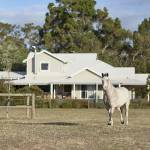 Italian born and bred, Romano has lived in Queensland and Western Australia since migrating from Italy. 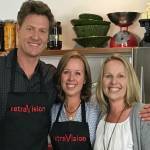 He has produced the gourmet food range for more than 16 years in the Margaret River Region. 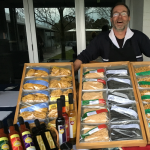 Romano has been a regular at the local Margaret River Farmers Market since they began in 2001. By popular demand our ranges of food are being introduced online for our many visitors to the region to enjoy at home.